Sorry I've been AWOL...my older son had ear and adenoid surgery the week before last and my younger son has been battling yet another cold. Sigh...but I guess I can be thankful that we are not suffering from the dreaded flu like so many across North America are. I don't know about you, but the New Year inevitably gets me going on an organizational roll around the house. 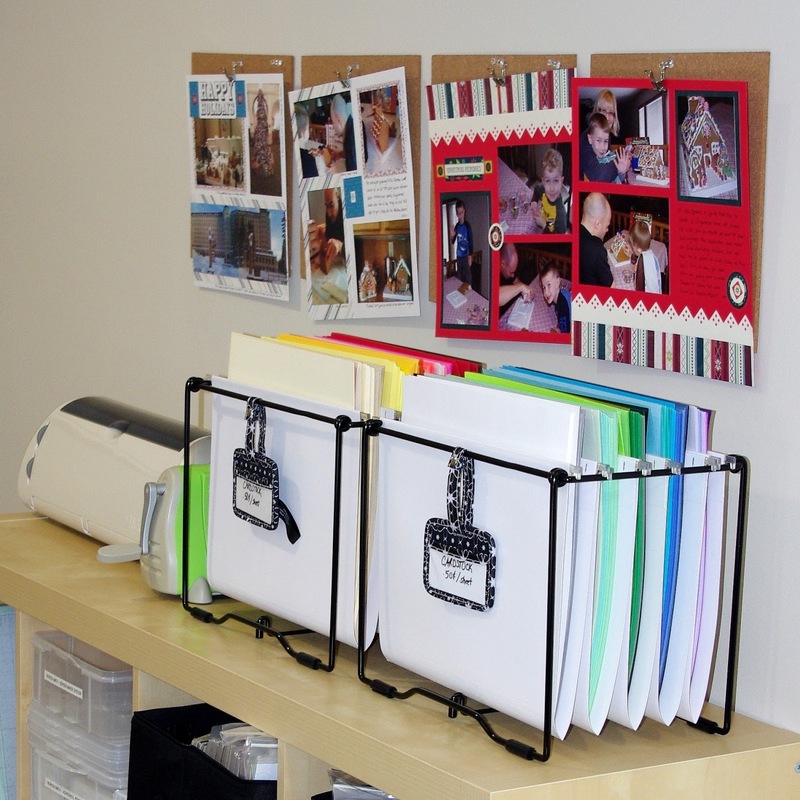 So far I've revamped closets, drawers and cupboards and I showed you how I used a CM product to help me stay on track in my kitchen, but one of my favorite areas to putz around in and organize is my scrap room. 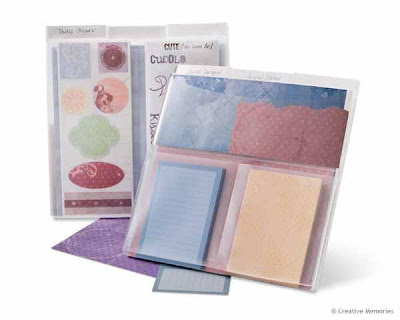 Nothing gets my creativity going like seeing lovely papers and embellishments ready for the next project! Power Palette Folders - I've tried other brands of paper keepers, but these are by far my favorite! They are are so user friendly and useful! 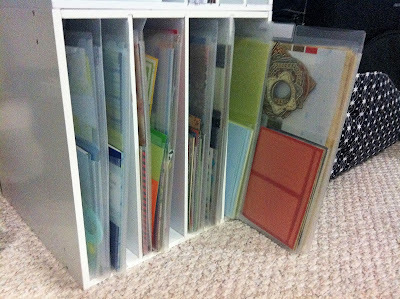 I store all my full power palettes in them as there are specific spaces for papers, stickers, and embellishments - they are a perfect fit! 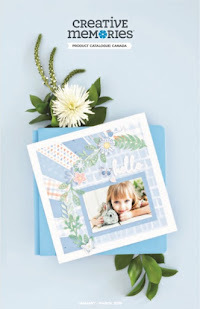 Your 12 x 12 papers go in the centre section of the folder, long sticker sheets have spots on the back and there are three spaces on the front for your photo mats, coordinating embellishments and any scraps you might hang on to. 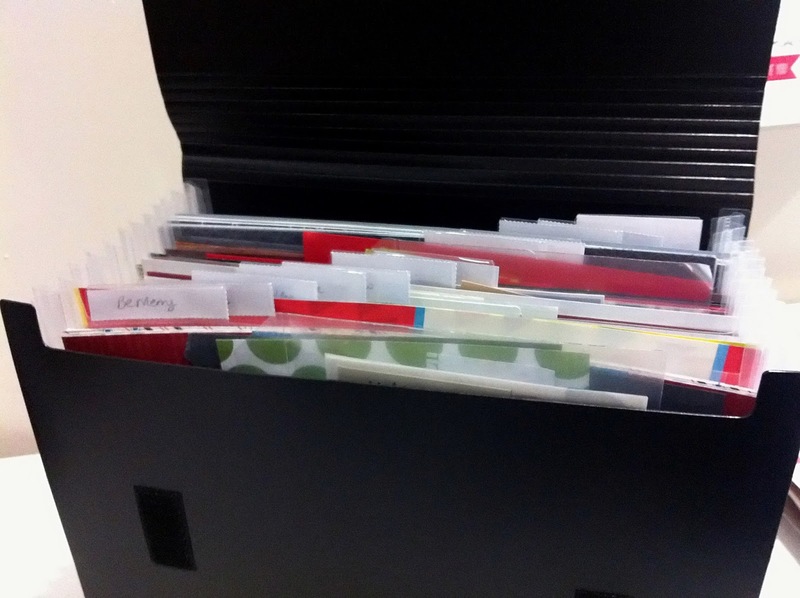 Labels that are included with the folders slip into slots on the top edge and make it easy to see which palette is inside. If you don't have any of these handy cubes with built divided slots, the folders also fit beautifully in our Racking System with its Hanging Folders. You could also store them in a bookcase that holds 13 x 13 cubes (like the Expedit line from IKEA) or simply place them in a desktop file folder holder or basket for easy access on your cropping surface. 12 x 12 Daisy File Mate - This file folder has 13 compartments to sort and store papers, memorabilia, sticker sheets etc. 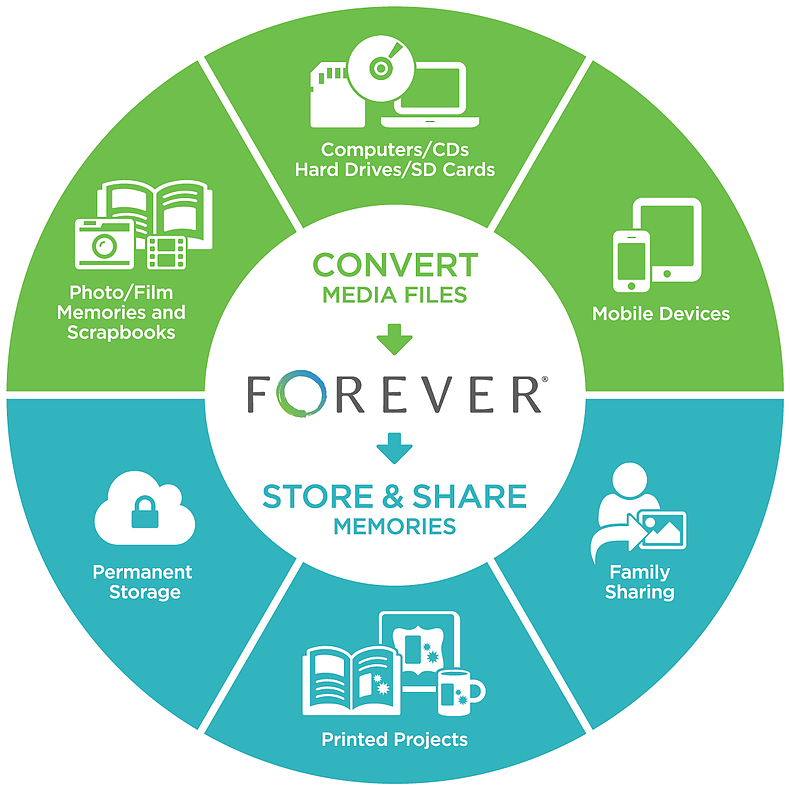 It is made of the same durable polypropelene as our Power Sort box and is photo safe, so it's great for photo elargements as well. 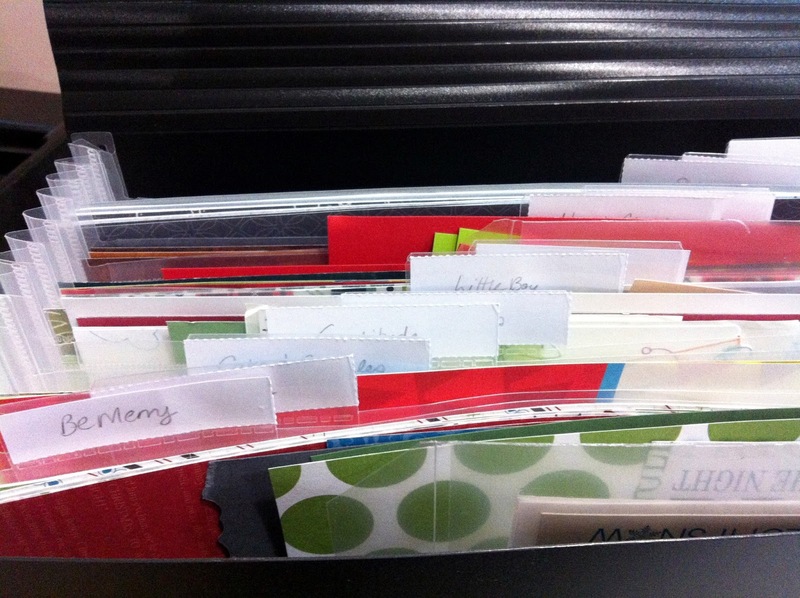 I store all my CM papers that are not part of a Power Palette in this, and label each compartment for easy reference. It would also be a great place to store your solid cardstock or reusable scraps sorted by color, or your stickers and flat embellishments sorted by theme. The accordian style bottom means it can expand to free-stand on a desk or bookcase, but can compress to store flat or take to crops. 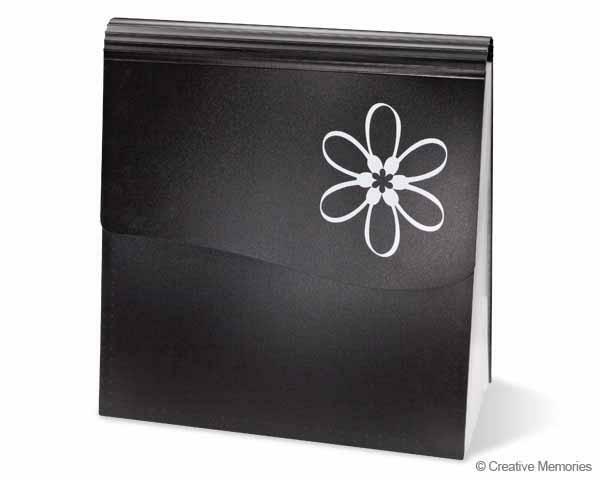 It also has a velcro closure, so whatever you're storing in it stays dust free and protected. 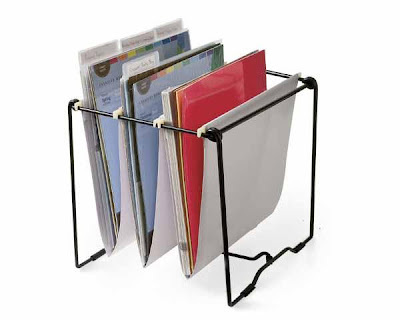 Racking System and Hanging Folders - This is a great table top solution for keeping your papers or kits organized and accessible within easy reach. I have two of these siting on top of a bookshelf to keep all my cardstock in. 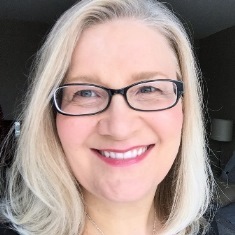 It's SO easy to see what I have...I can easily select and pull out a few sheets for consideration when I am starting a project, then put the sheets I am not using back quickly and efficiently. And my cardstock has no bent corners! 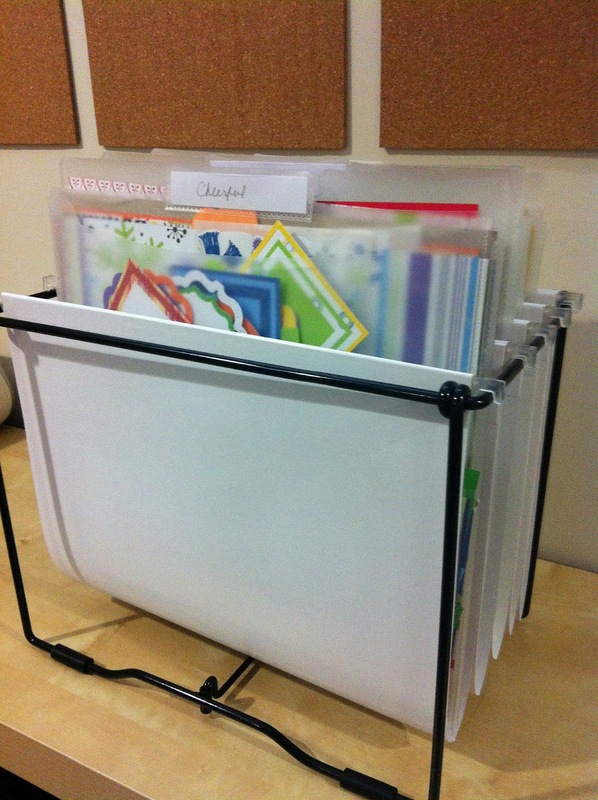 You can place this handy rack on your desk, or leave it on shelf or in a cupboard. It also fits perfectly into our Daisy Wheeled Cart for storage or to take along with you to a crop. I hope that gives you a few ideas on how to organize your scrapbooking papers. In the next post I'll share some ideas for sorting and storing all your lovely little embellishments! hi Noreen! I am trying to get my hands on a set of the hanging folders for the CM Rack (which I already have). you wouldn't know anyone who has a leftover set from the CM days..would you?? 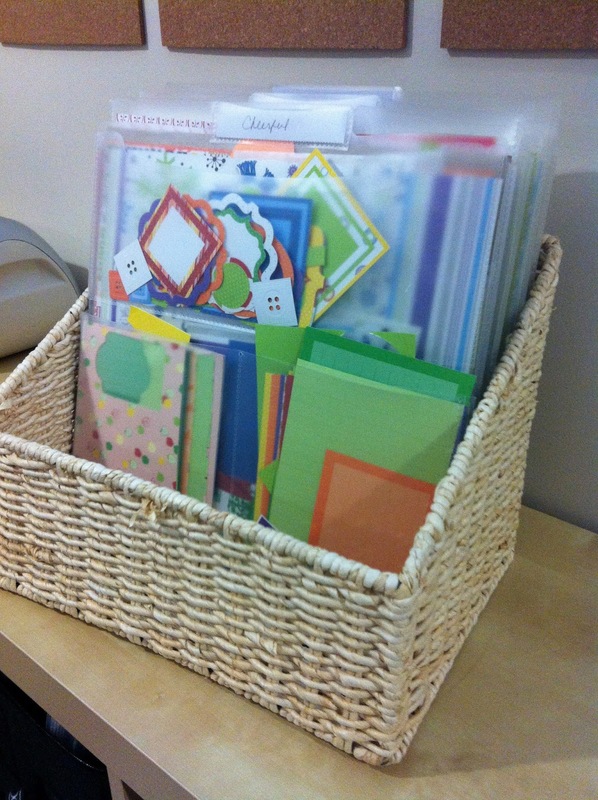 thank you so much and thank you for the great organizing ideas!